SNAFU! : USMC doing it again with the CH-53K. "Concurrency Management" between testing and production???? USMC doing it again with the CH-53K. "Concurrency Management" between testing and production???? 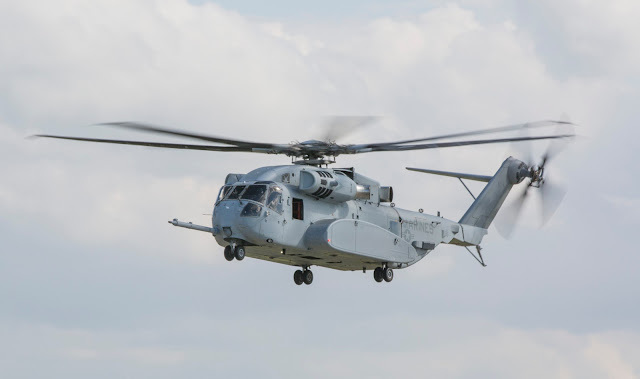 USNI News previously reported that the discovery of an “exhaust gas re-ingestion” issue in the engine, along with other deficiencies, slowed the testing – which was already behind schedule due to having too few aircraft and not all test flights counting towards program requirements. To compensate for the ongoing bill of the developmental testing, and to allow for concurrency management between testing and production, the Marines asked to buy just six aircraft in their Fiscal Year 2020 budget request rather than the planned nine. Daniel Nega, the deputy assistant secretary of the Navy for air programs, said at the hearing that the Department of the Navy is in talks with Lockheed Martin now about the next contract, but he said any future deficiencies would be on Lockheed Martin to address. Found the highlighted jem while doing a bit of catch up reading. Tell me that I'm misreading this thing. Tell me that the USMC has learned the painful lessons from the F-35 and we're not doing the concurrency thing again!